Finding a bicycle under the Christmas tree is a tradition that many of us have enjoyed for generations. Let our experts select the best bike for your daughter or son, and make sure it's safe, with assembly by our professional mechanics. Kids' bikes come in a range of sizes. 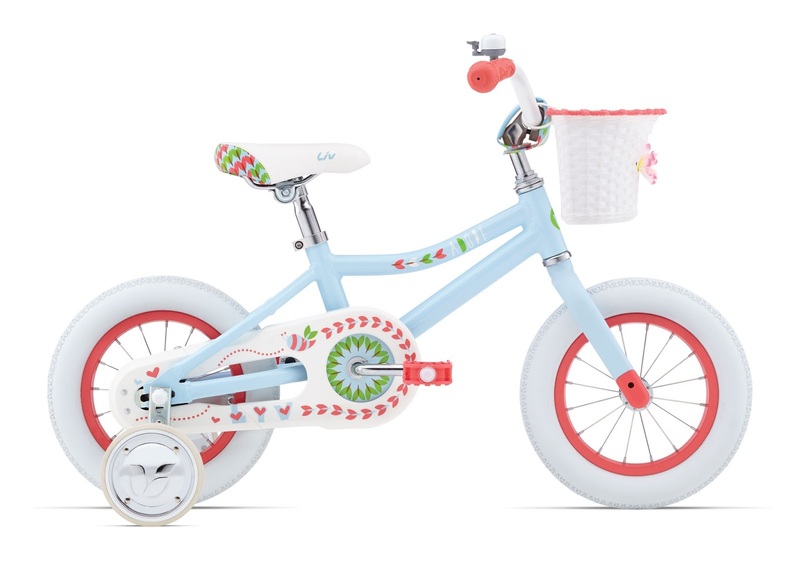 With adult bikes, the size of the bike refers to the size of the FRAME, but for kids' bikes, the size refers to the size of the WHEEL. There is a recommended age range for each size, although keep in mind that these recommendations are approximate, since all kids grow and mature at different rates. All of them have adjustable seat height to allow for growth. 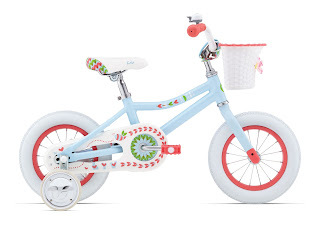 24-Inch Bikes are the largest size bike for kids, and typically work well for most kids aged 7 years and up. 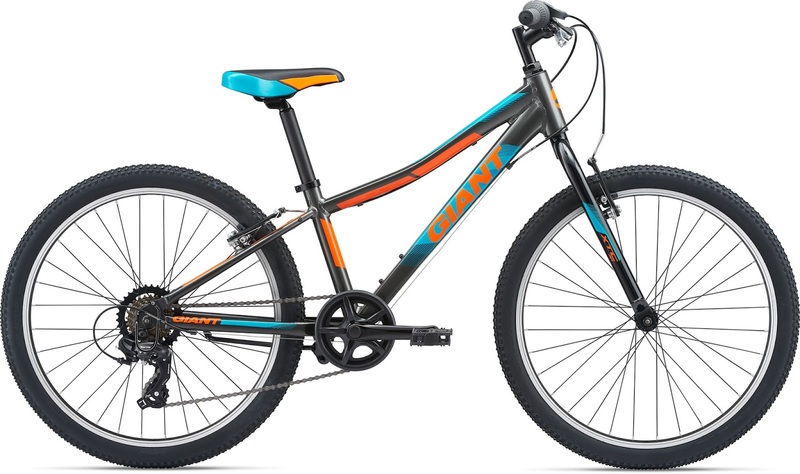 Check out the Giant XTC Jr. 24 Lite for boys or the Liv Enchant 24 Lite for girls. These bikes have 7 speeds and hand brakes, to help kids develop the shifting and braking skills they'll need once they graduate to an adult bike. 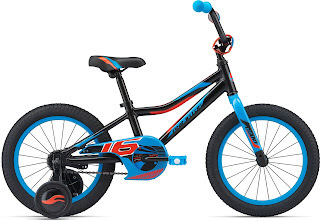 20-Inch Bikes are appropriate for kids ages 5 to 8 years old. Most of these bikes will have one gear and a coaster (pedal) brake. Some will have a single auxiliary hand brake to give your child a head-start on hand-braking skills. Check out the Giant Motr 20 and Raleigh MXR 20 for boys, or the Liv Adore 20 and Raleigh Jazzi 20 for girls. 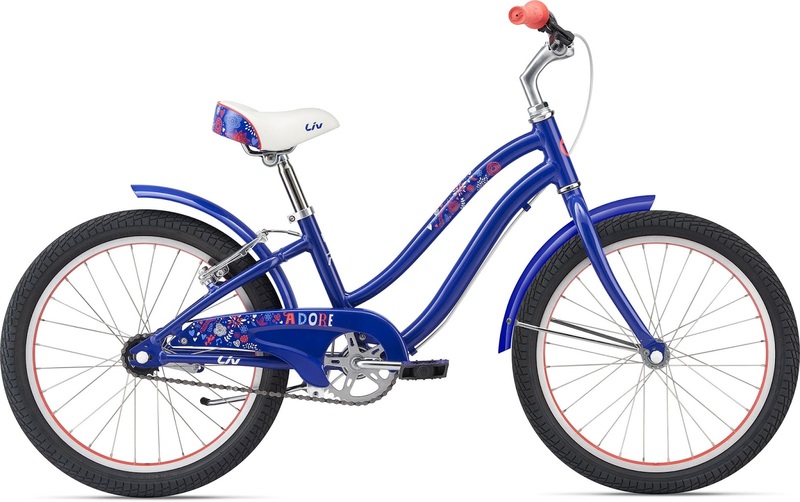 Training wheels can be purchased separately and add to these bikes if needed. If your child is ready to try switching gears and hand brakes, look at the Giant XTC Jr 20 Lite for boys or the Liv Enchant 20 Lite for girls. 16-Inch Bikes work well for most kids aged 3 to 6 years. These bikes have one speed, a coaster brake, and usually come with training wheels, which can be removed as your child's skill progresses. Our options in this size are the Giant Animator 16 and Raleigh MXR 16 for boys, or the Liv Adore 16 and Raleigh Jazzi 16 for girls. 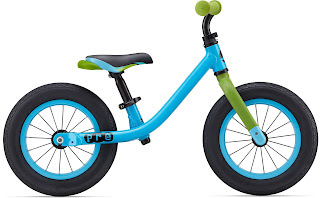 12-Inch Bikes are for kids ages 2 to 4 years, and like their 16-inch counterparts, have one gear, a coaster brake, and removable training wheels. Check out the Giant Animator 12 and Raleigh MXR 12 for boys or the Liv Adore 12 for girls! Balance Bikes are becoming more and more popular as a method to get your kids riding on their own, without the headaches and heartaches of training wheels. The bikes have 12-inch wheels, but no pedals. Your child begins to learn by using the bike as a scooter, pushing along with his or her feet. They soon get the hang of lifting their feet up and cruising, keeping their balance as they go. Since they already have the skill of balancing mastered, when you put them on a regular pedal bike, all they have to learn is the pedaling skill -- skipping the training wheels! We've got the Giant Pre balance bike in stock in colors to suit boys and girls of all tastes. Already have a kid's bike in the garage or basement that needs some TLC? We've got replacement tires in stock (in both black and white) for all of the above sizes, as well as the less-common 18-inch and 14-inch sizes. We can fix flat tires and perform other minor adjustments while you wait! For more major repairs, we provide free estimates! We service all brands of adult and kids bicycles, not just those bought from us!